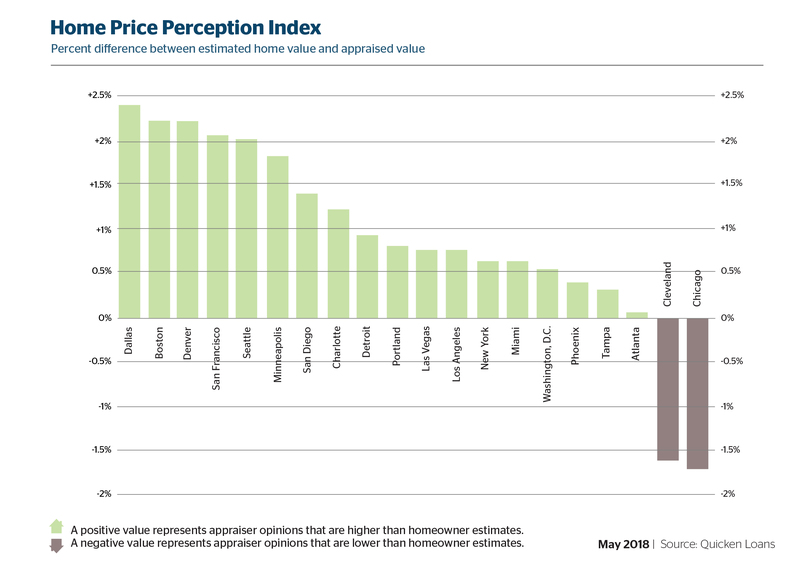 Appraisers and homeowners are syncing up on value, with appraisals in April just 0.33 percent below what homeowners predicted, according to the Quicken Loans National Home Price Perception Index (HPPI). The Quicken Loans National Home Value Index (HVI) shows appraised values rose 6.47 percent year-over-year. 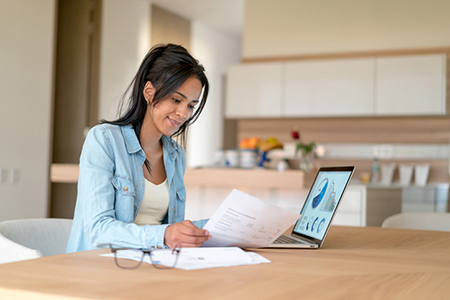 The findings indicate homeowners are less likely to get a rude awakening when going through mortgage process; it is the closest the national appraiser and owner opinions have been in more than three years. Homeowner opinions are also improving when viewed locally. Less than 20 percent of the areas measured have appraisal values lower than estimated. San Jose is leading the way, with the average appraisal 2.75 percent higher than expected, and Chicago is trailing all cities, with appraisals an average of 1.68 percent lower than estimated. Only five of the 27 metro areas observed in the HPPI reported appraisals lower than what owners estimated. While they are more in line with what owners expected, home values are continuing their ascent over last year’s level. The HVI reported a healthy 6.47 percent year-over-year increase, despite near-stagnant monthly change, with a 0.05 percent dip in home values since March. The HVI was pulled into the negative by the Northeast—the only region showing a decrease in home value, at a 1.24 percent decline. The Northeast was still the lowest when reviewing annual changes; however, all regions were positive, ranging from the Northeast’s 2.22 percent growth to the 9.44 percent jump in the West.